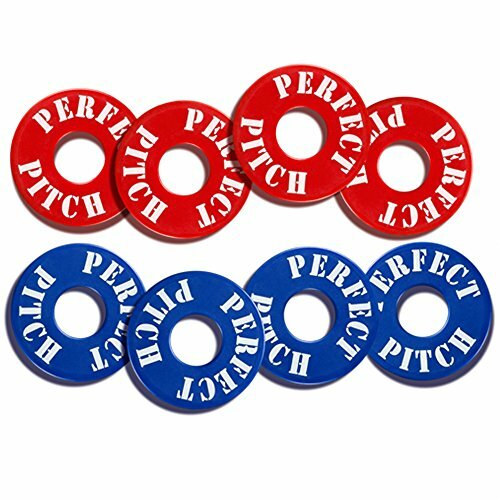 Did you lose your washers for your PERFECT PITCH WASHERS Game? Get the originals! These hefty washers have a steel interior and heavy duty plastic exterior coating making them waterproof and weatherproof. Use them with Maranda Enterprises's Perfect Pitch Washers Game or with your own homemade game! ASTM toy safety tested and approved. For ages 8 yrs. and up. If you have any questions about this product by Maranda Enterprises, contact us by completing and submitting the form below. If you are looking for a specif part number, please include it with your message.